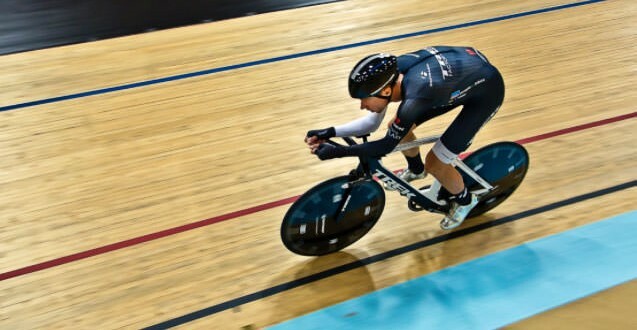 Jens Voigt (Trek Factory Racing) set a new hour record at the Velodrome Suisse in Grenchen, Switzerland. He rode 51.11km over the course of an hour Thursday. The 43-year-old German bested Ondrej Sosenka’s mark of 49.7 kilometers by 1.41km. Jens Voigt, who will now retire from cycling, said afterwards: “I’m so happy. Maybe I started a little bit too fast out there and I had to slow down after 20 minutes just to get in the right zone. Then in the last 20 minutes I still had a lot in the tank and I thought, ‘I’m going to give everything’. “Now I’m on the list [of record-holders] – nobody is going to strike me off it. To be up there with the likes of Merckx, Boardman, Indurain, I’m now proud that my name is with them. Jens Voigt had been expecting to cover 50.5km and made a strong start, quickly settling into his rhythm and posting lap times in the high 17 seconds. He slowed in the middle 20 minutes and there was a moment of concern when he climbed out of his saddle and readjusted his skinsuit, but he then began speeding back up and looked like he had energy left over at the finish. Voigt’s achievement is expected to open the door for fresh attempts in the near future, with Sir Bradley Wiggins and Fabian Cancellara among the riders to have expressed an interest.